Jobi was our handsome assessment yesterday morning... 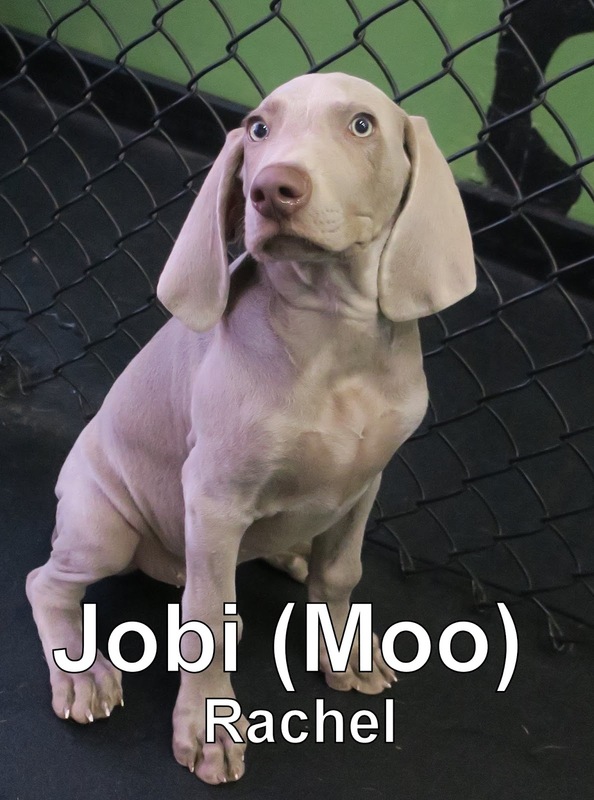 This cute little guy is only eleven weeks old, weighs almost nineteen pounds, and is a Weimaraner. Jobi loved his first day with us; he made several friends, and loved exploring in our Medium Dog Program. We even got a video of him playing, check it out below. Lucy was our assessment today. She's a Lab mix that weighs fifty pounds, and is one in a half years old. This sweet girl did a little bit of exploring and sniffing when she got here. We didn't see too much playing, but she was mingling with everyone, well. 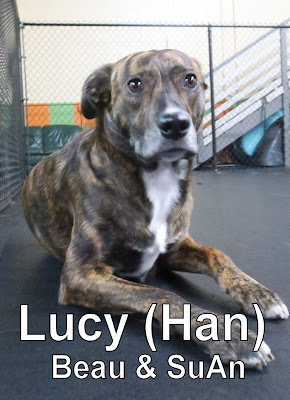 We think that Lucy is going to blossom, and make friends the more times she comes here.